Happy Monday Doodlebug friends! 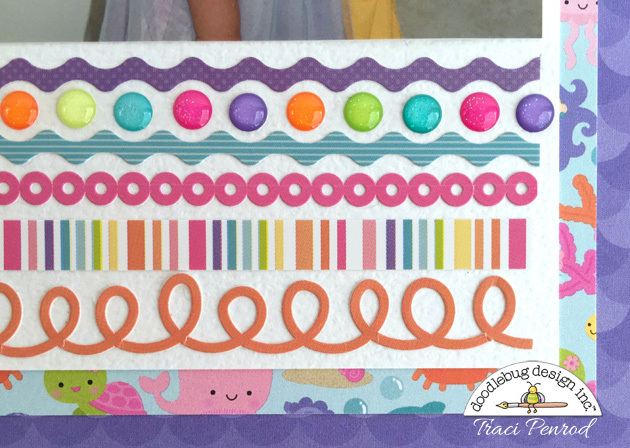 It's Traci from Artsy Albums and I'm excited to share my Under the Sea layout with you today! This collection is so perfect for anything girly ... so don't just think "beach". It worked perfectly for these adorable dress-up photos of my niece. How fun is it that she and the mermaid have matching headbands!! LOL! 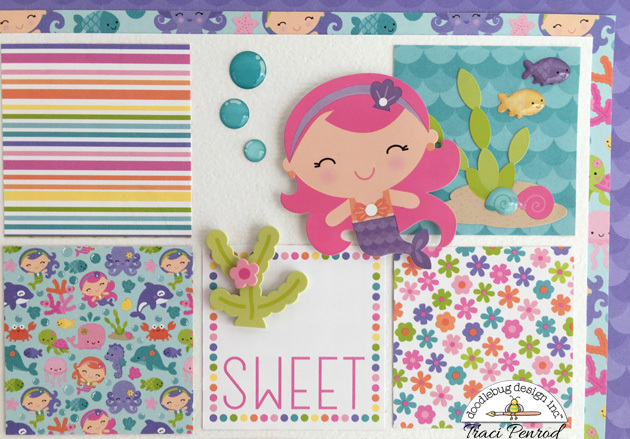 I created a little scene in the top corner using the new shape sprinkles that come with this collection, and added some adorable bubble sprinkles next to my little mermaid. I love fancy frills border stickers, so I decided to add a bunch of them to the bottom of the page along with more sprinkle dots. It was an added bonus that the cute sea critters were peeking out underneath! I hope my page has inspired you to create something adorable with Under the Sea!! Thanks for visiting ... and please stop by my blog and say hello sometime! Perfect photos for this adorable collection! Great design on the LO! This is so sweet Traci! I love the sprinkles in the border too! 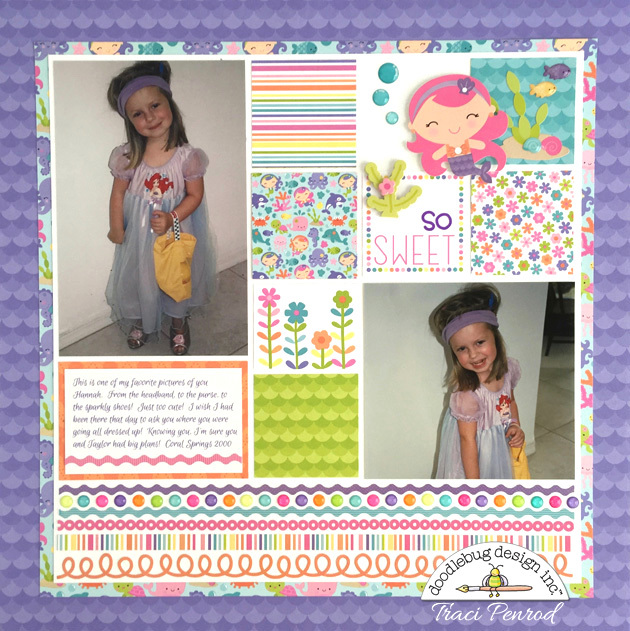 Fabulous layout Traci! Love those fancy frills at the bottom of your page!